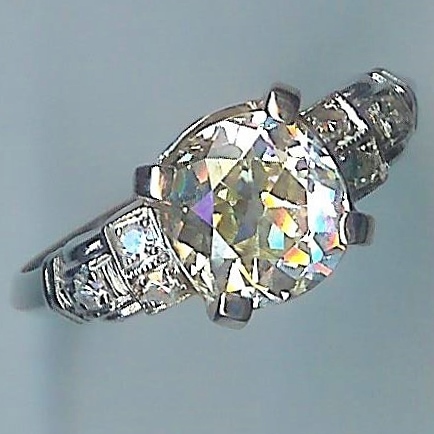 Amazing Art Deco 9 Stone Rose Cut Diamond Ring [SH8067] - £1,850.00 : loveVintageDiamonds.com, Your Vintage Diamond Dreams Come True! 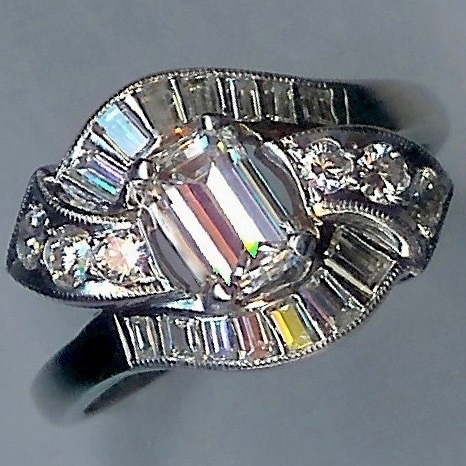 This is a delectable Art Deco cluster ring. 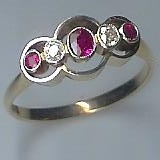 There are a total of nine old rose-cut diamonds in this ring, with their combined weight totalling approx. 0.64cts. 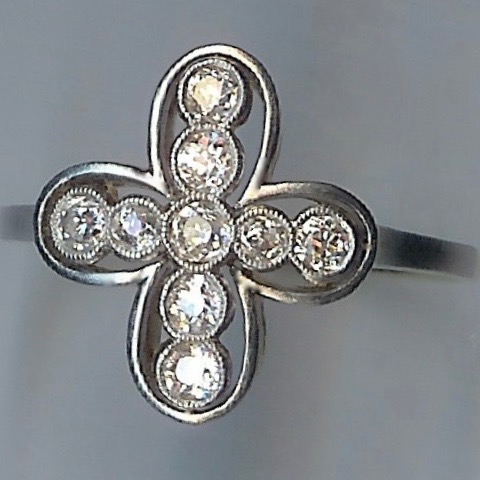 Each diamond is set into a mille-grain collet-setting and the diamonds are collectively set in a cross-shape with soft, petal-shape frames. The measurement of the overall crown is approx. 16 x 15mms. 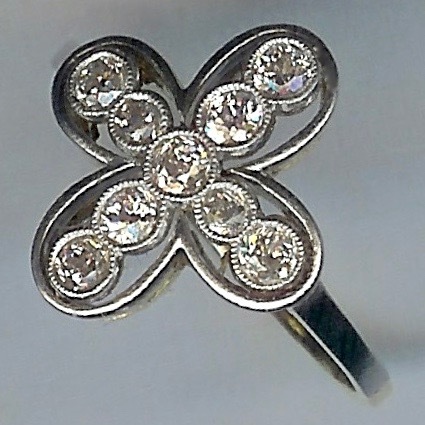 The under-bezel of the crown, and the shank, are simple, and do not detract in any way from the delightful crown of this ring. The shank and under-bezel are yellow, the shank is marked '18' to indicate that it is 18ct yellow gold, and the ring tests as such. The crown and shoulders of the shank are faced in white; it was very typical during the Art Deco period to face yellow gold rings in platinum. 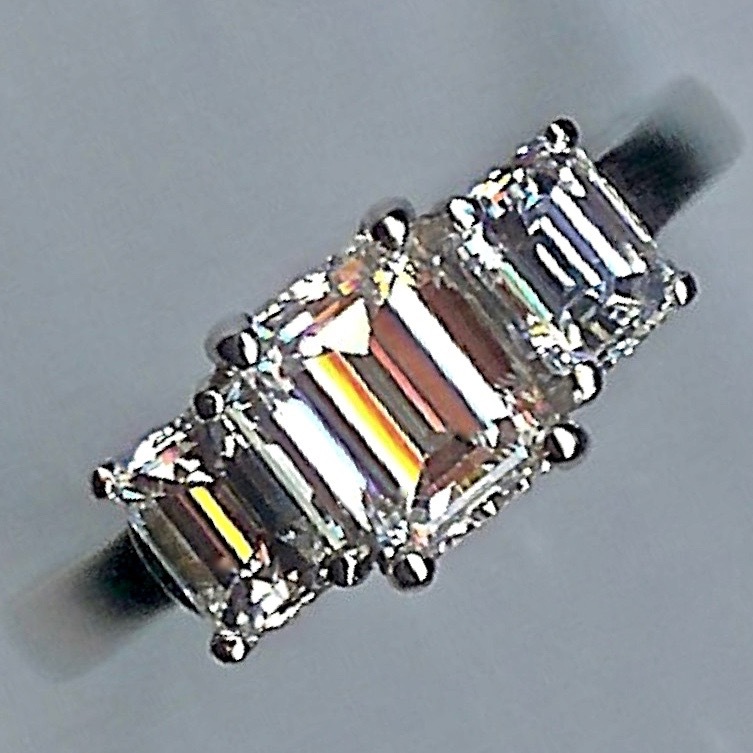 Therefore, whilst wearing this ring it does have the appearance of being white throughout. 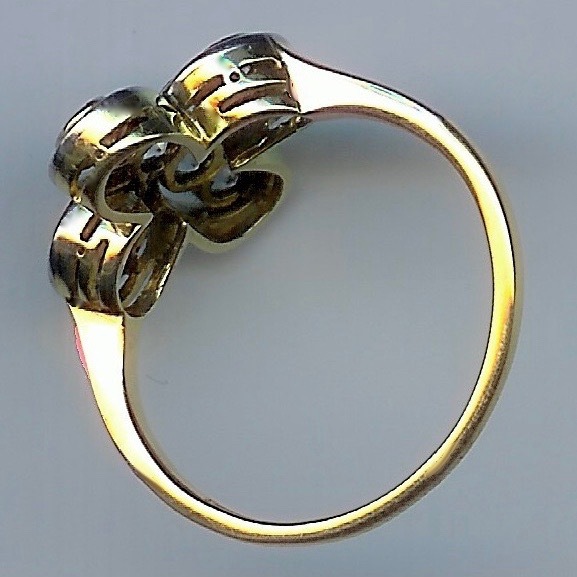 Overall weight of this ring is approx. 3.6gms. It is currently approx. finger size 'N' (UK).